Remember this post called "So, I Found These Sticks..." From 2011? Read it HERE. AND this one Stick Pics Part 2. It all started literally with 2 random sticks!! I LOVE the challenge of creating something out of the simple forgotten things! These stick pics are my most pinned picture on Pinterest AND I still get asked to make them today! 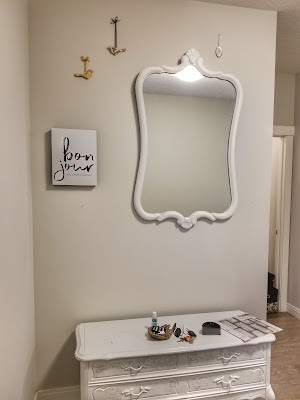 I chalk painted the frames and knobs with van Gogh Fossil Paint! 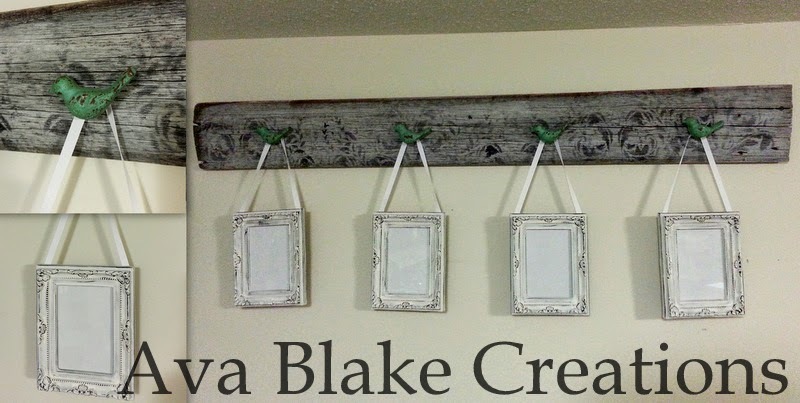 WOW, these cork, handwritten design frames really pack a punch with the cast iron hooks and stencilled Barn Wood!!! 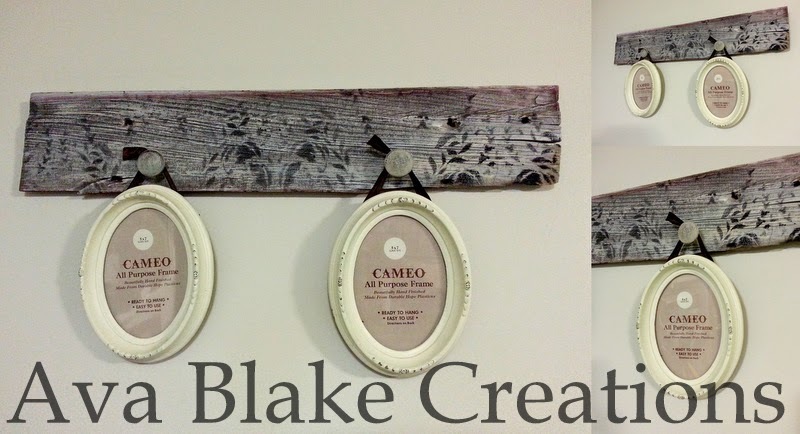 Stencilled Barn Wood with Antique Cameo frames make this one so elegant! 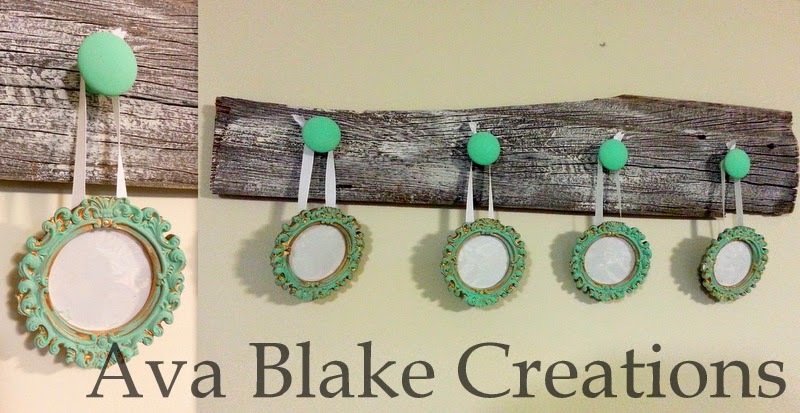 I LOVE LOVE LOVE the look of this character filled worn out piece of wood with the pretty frames on ANY wall in ANY room! It instantly catches the eye! Don't forget to pin them to your Pinterest Boards!